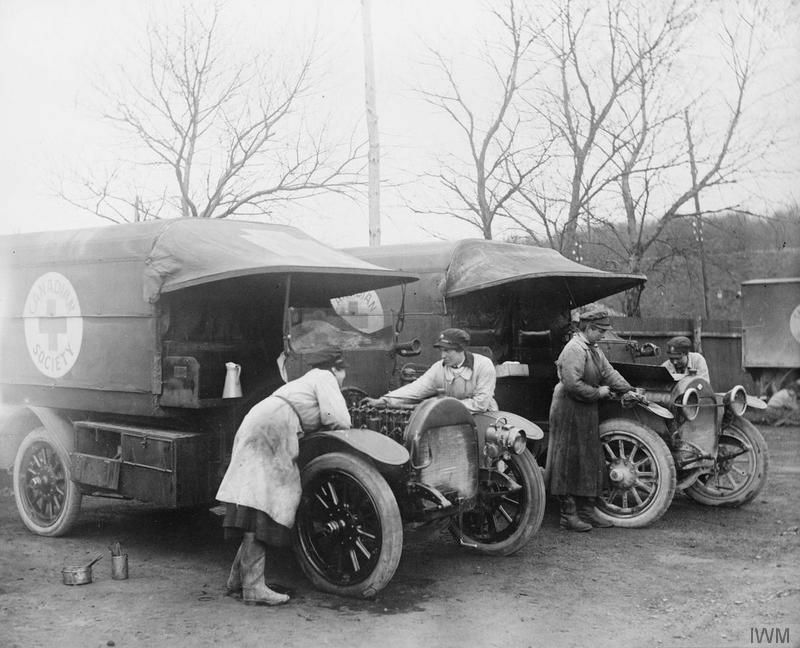 VAD's of the Motor Convoy cleaning cars at bade in Etaples. 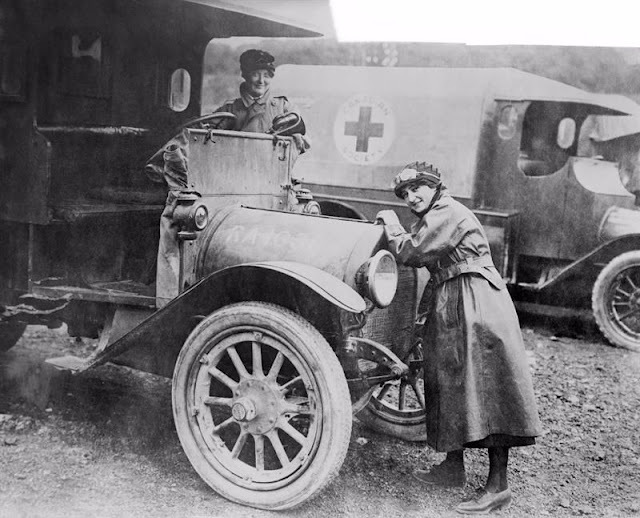 The ambulances were donated by the Canadian Red Cross. January 1918. 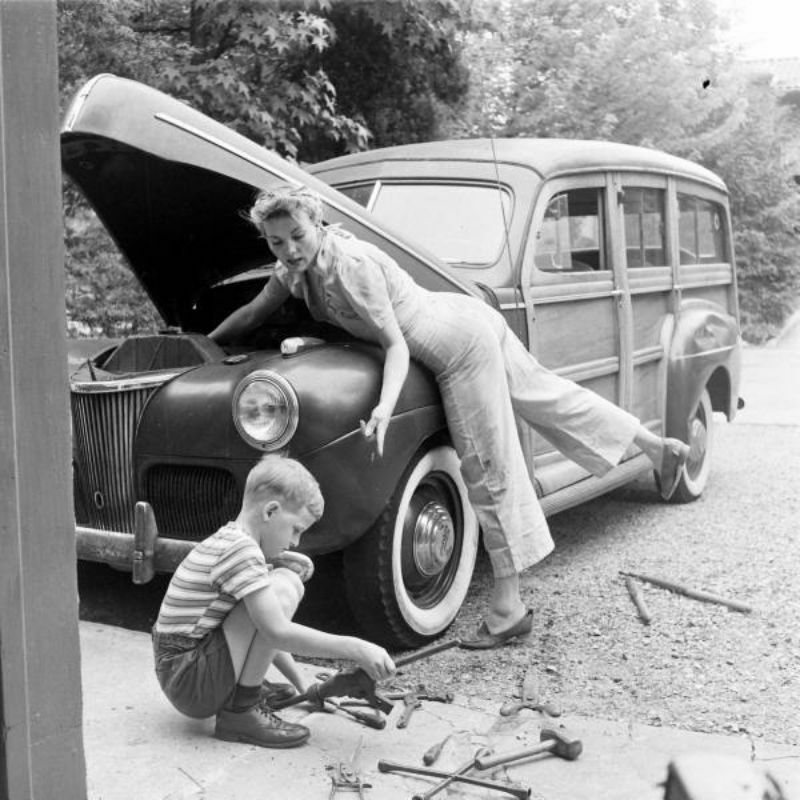 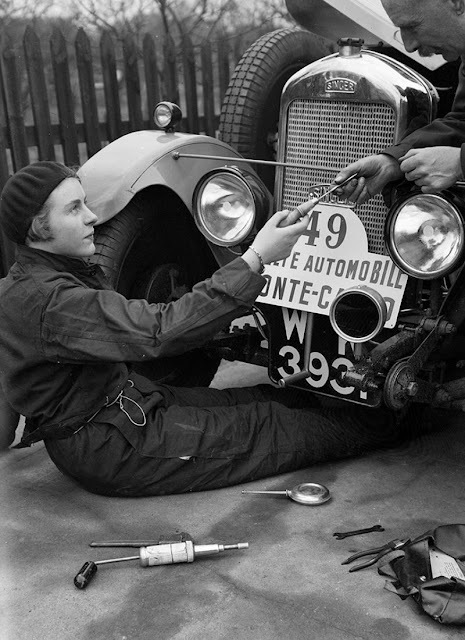 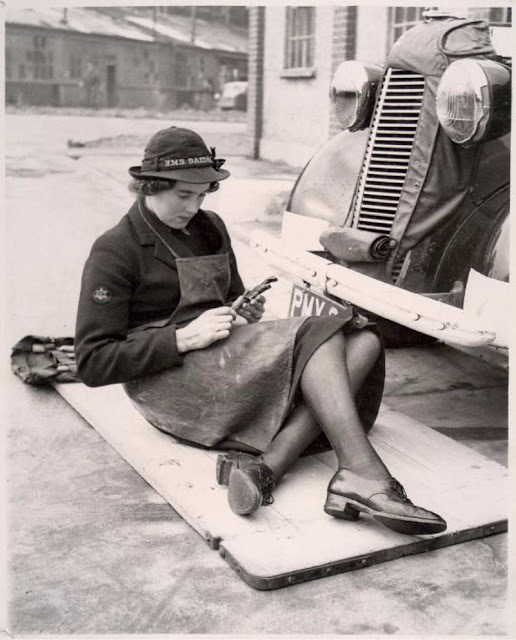 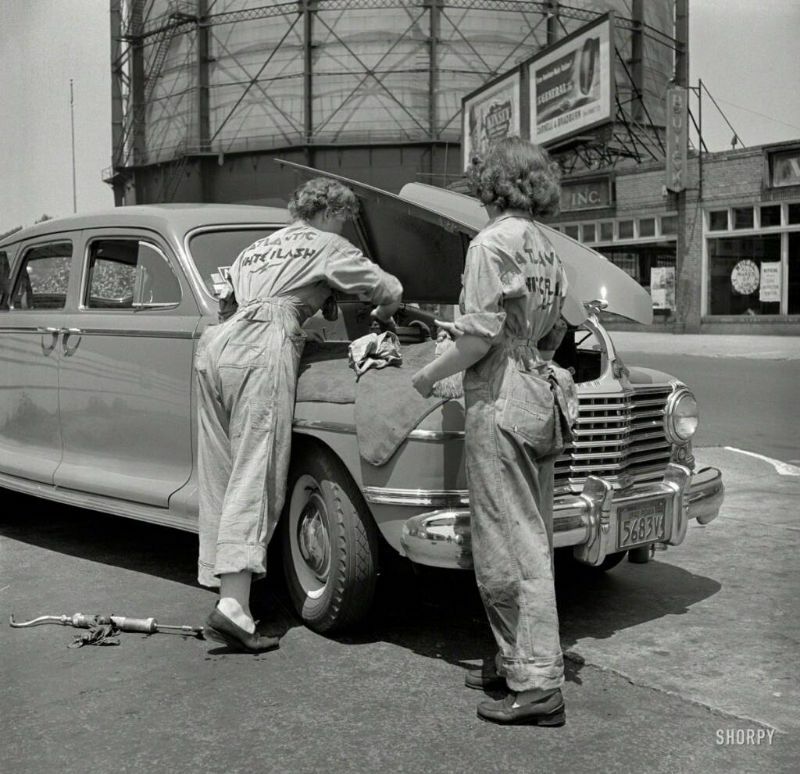 A 'Wren' - a woman from the Women's Royal Naval Service - works as a mechanic, c. 1939 - 1945. 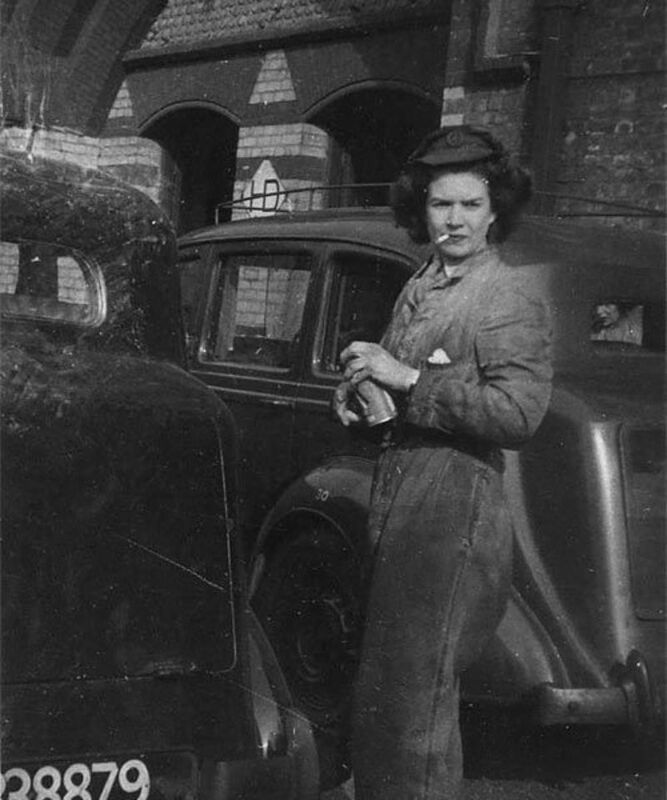 Her hat appears to read 'H.M.S. 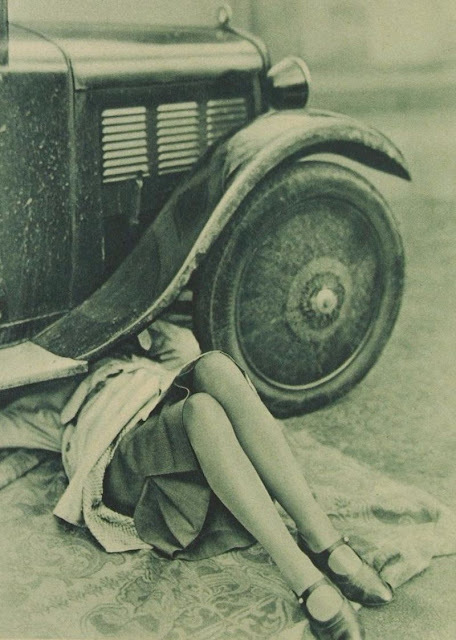 Daedalus'. 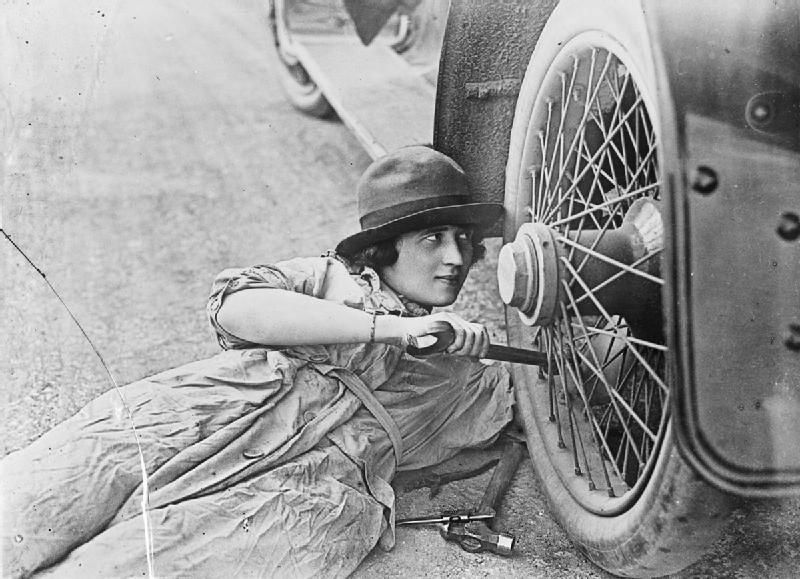 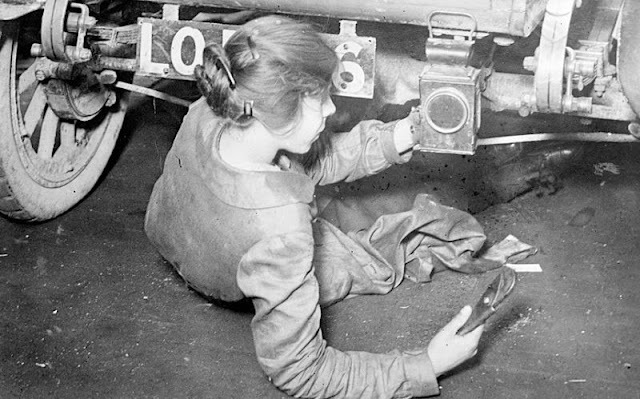 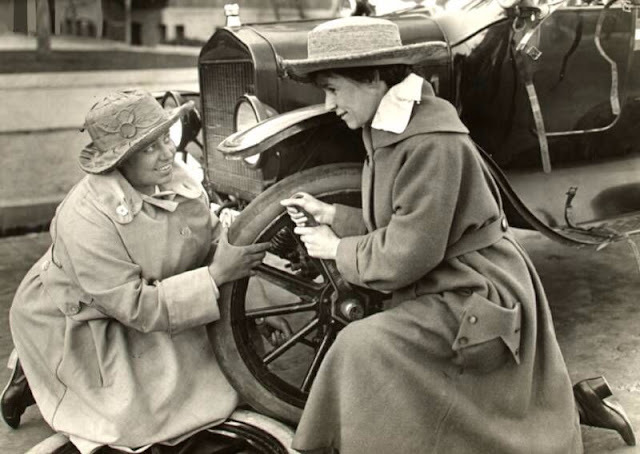 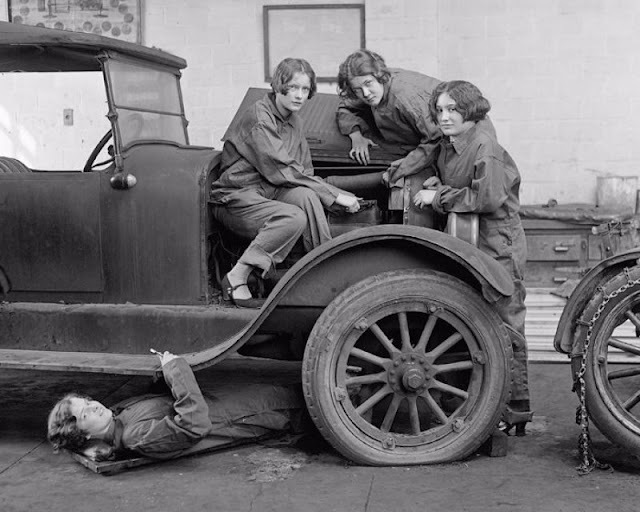 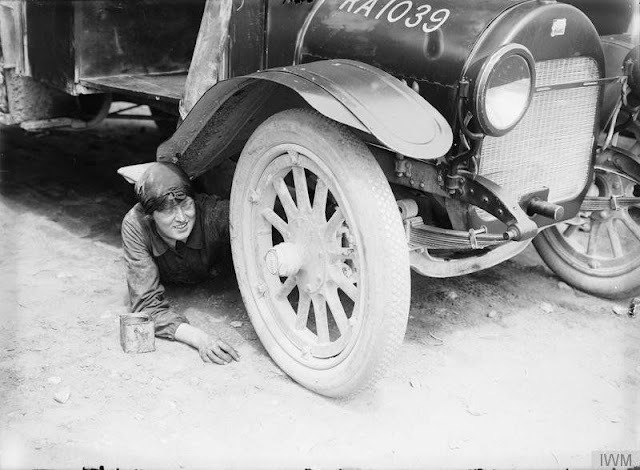 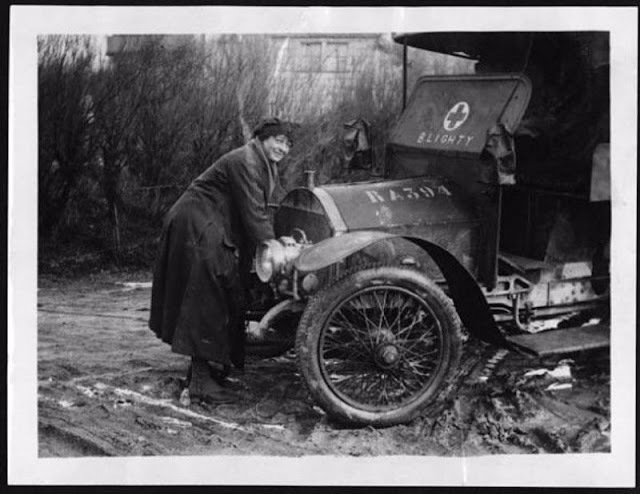 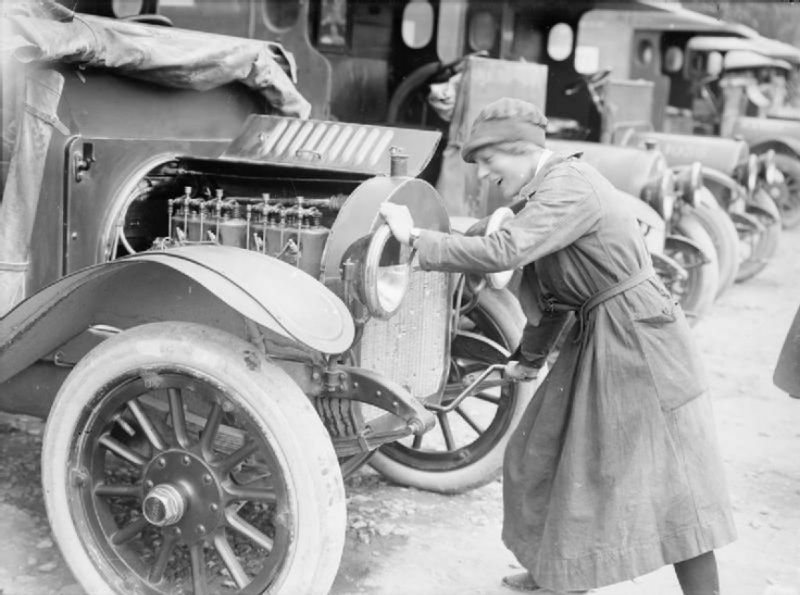 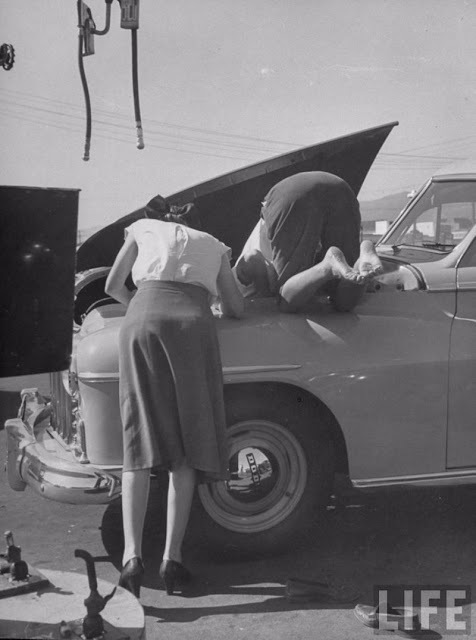 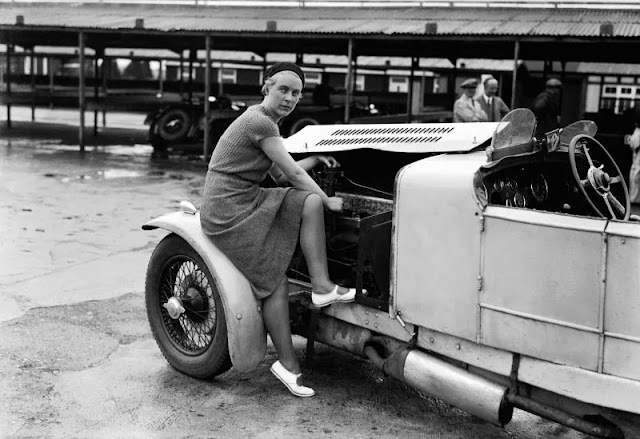 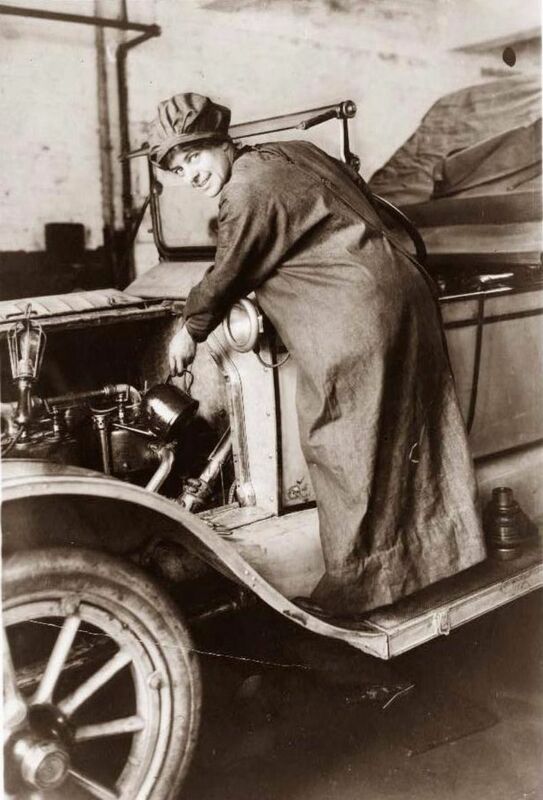 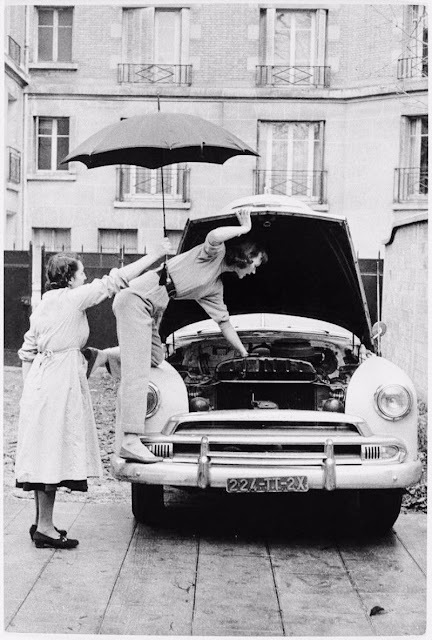 A motor transport driver from the Women's Royal Navy Service (WREN's), repairing the engine of her car. 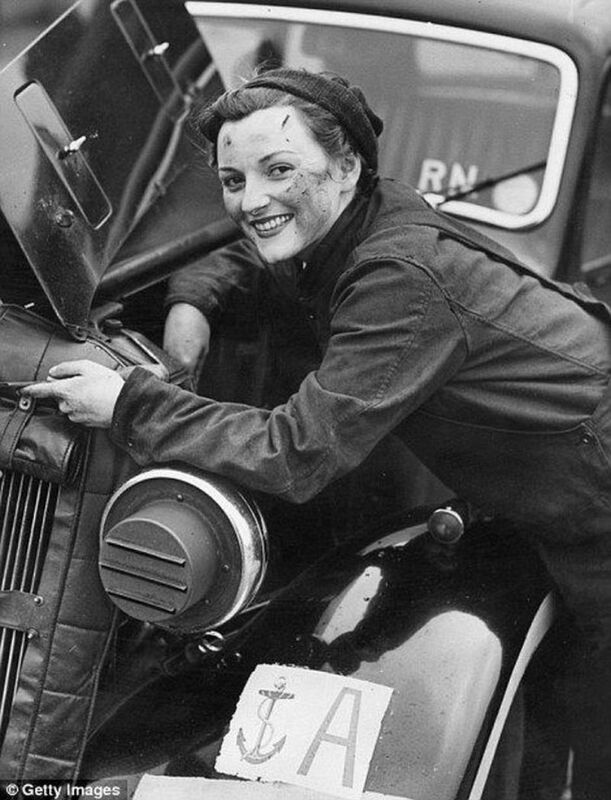 28th January 1943. 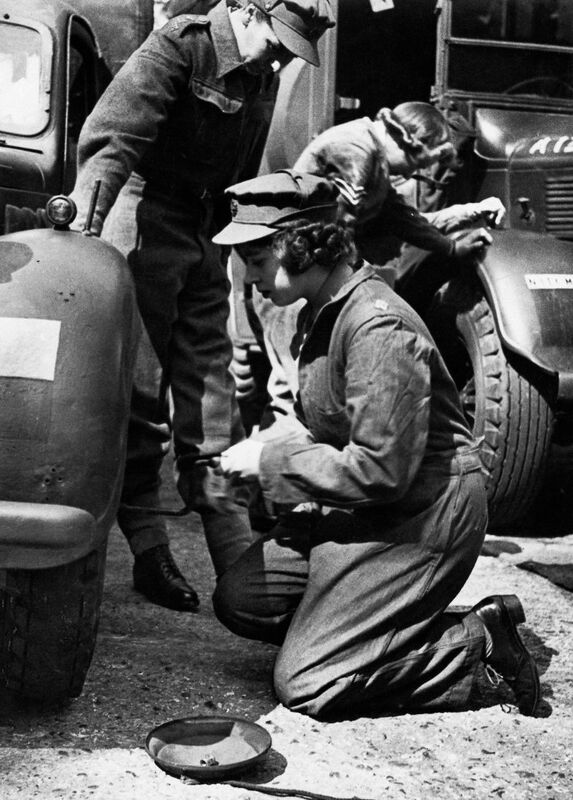 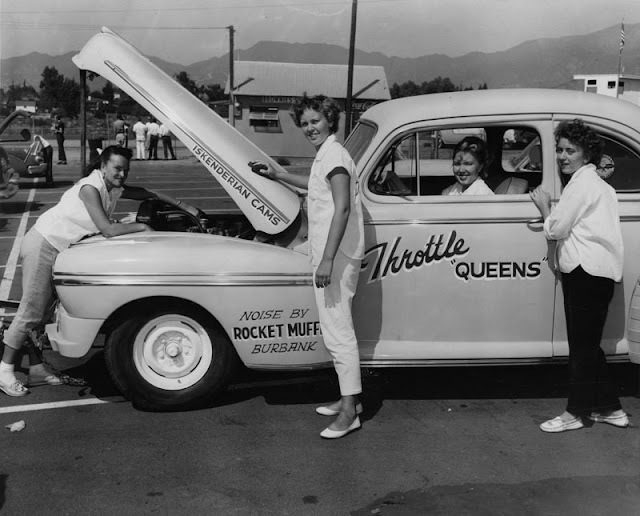 Princess – later Queen – Elizabeth was a truck mechanic in the Women's Auxiliary Territorial Service, March 1945.